illegally increased by the National Assembly. because he is on vacation. the powers of his office. validly passed by the NASS. 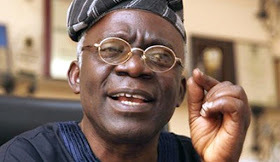 0 Response to "Don't Sign 2017 Budget - Falana Advises Osinbajo"